I really love pie. 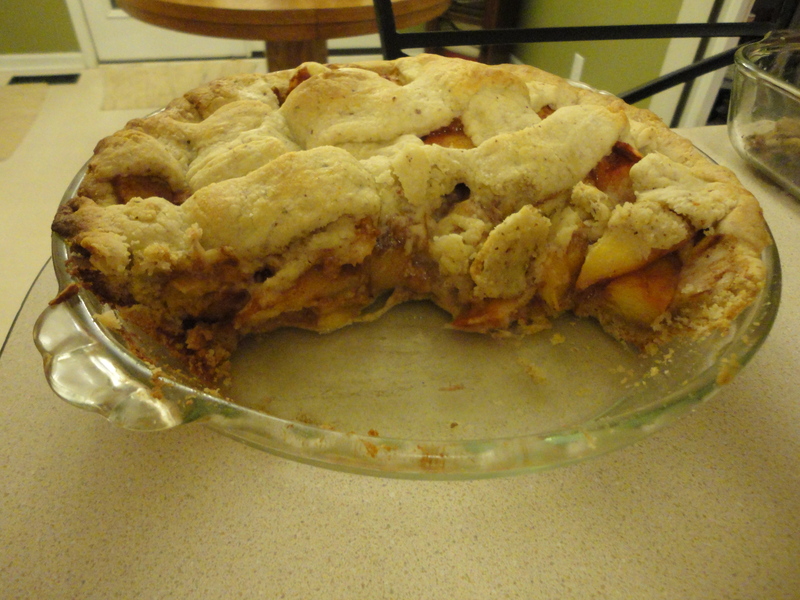 I really love dessert in general, but homemade pie is one of my favorite things to make and to eat. So I set out today to try my very first gluten-free pie, and I’m sorry to say, I’m going to have to keep trying. I was a little concerned that Pamela’s Baking Mix might not work because I think it’s essentially like gluten-free Bisquick. Instead of my two cups of flour, I used one and a half cups of the baking mix and a half of a cup of almond flour. Because the almond flower is more coarse and seemingly drier than flour, I went ahead and added a couple of extra tablespoons of butter. Mistake. Note to self for future: don’t overcompensate for something on the front end. 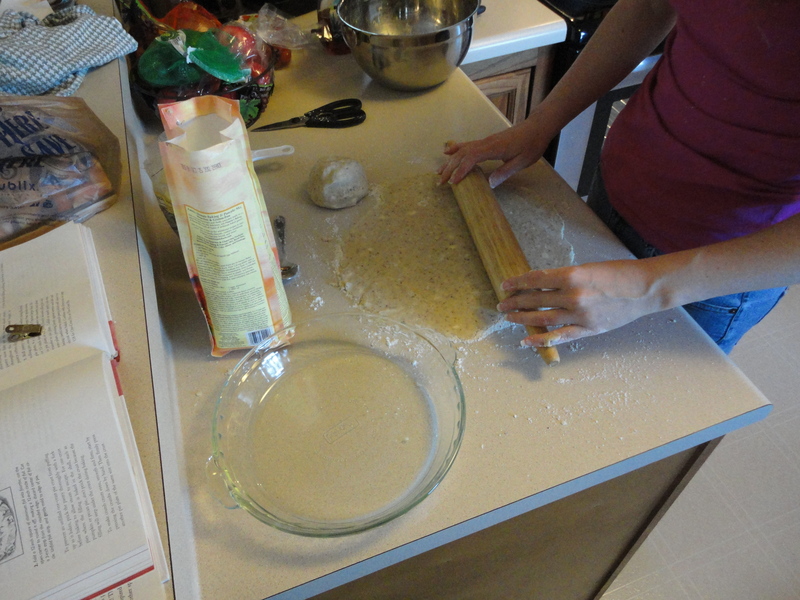 What essentially happened was the pie dough was too buttery, even after adding extra baking mix and and almond flour, and it was also too light. The baking mix doesn’t have the same substance as flour, and it wasn’t quite heavy enough. It also didn’t stay together to pick up and place in the pie plate. I ended up pressing the dough into the pie plate and then carefully rolling the top dough into thick lattice strips that I gently placed across the top. If you’re curious, the filling was two bags of Kroger frozen peaches, thawed, drizzled with agave and sprinkled generously with cinnamon. I actually served this to some friends tonight who told me it was good, but they’re very kind. All in all, it was edible, but it was by no means fantastic. I’ll eat the rest of it, but I won’t repeat it. I’m sure there’s someone out there who has perfected this, but it is kind of fun experimenting. Next round: oat flour. Stay tuned! This entry was posted in gluten-free, weekend baker and tagged almond flour, dough, gluten-free, Pamela's Baking Mix, pie by kenzihoward. Bookmark the permalink. Did you use the regular pamela baking mix or the bread/pie crust mix? The pie crust mix comes in a separate small package. I have bought but not tried yet. Its advertised for pizza crust, breads, and pie crust. Different from the regular baking mix. Thanks Mylinda! I will definitely look for that. 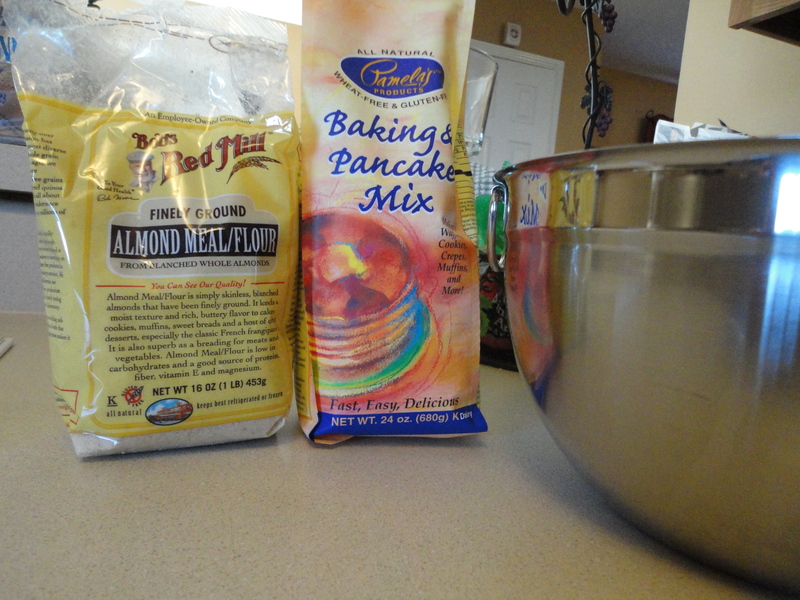 This was the baking and pancake mix. A gluten free fail now and again is good for the soul (sort of, right?…) I’m curious to see how the oat flour turns out – I can’t seem to get hold of any around here. I have recently bought some gram flour and that’s been amazing for me so far, from baking to gravy sauces! Intolerance, thanks for your note! I’ll look into the gram flour. You may want to check Amazon for the oat flour; it comes in packs of four or six, so you might want to find a friend to split it with unless you’re really committed. 🙂 And in spite of the fail, we still ate the whole pie!